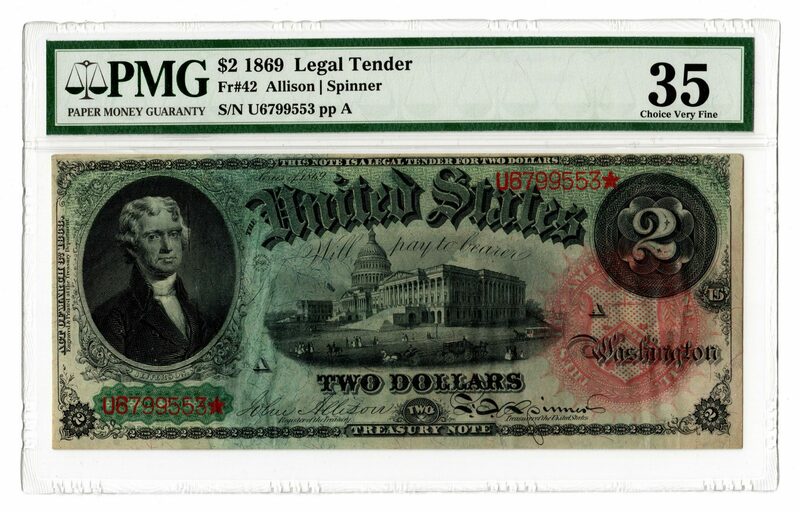 1869 US $2 "Rainbow" legal tender note, depicting the portrait of Thomas Jefferson, engraved by James Smillie (New York, 1807-1885), left, vignette of the Capitol Building, center. Serial # U6799553(star)/ pp A. FR # 42. Allison/Spinner signatures. PMG graded 35/Choice Very Fine. 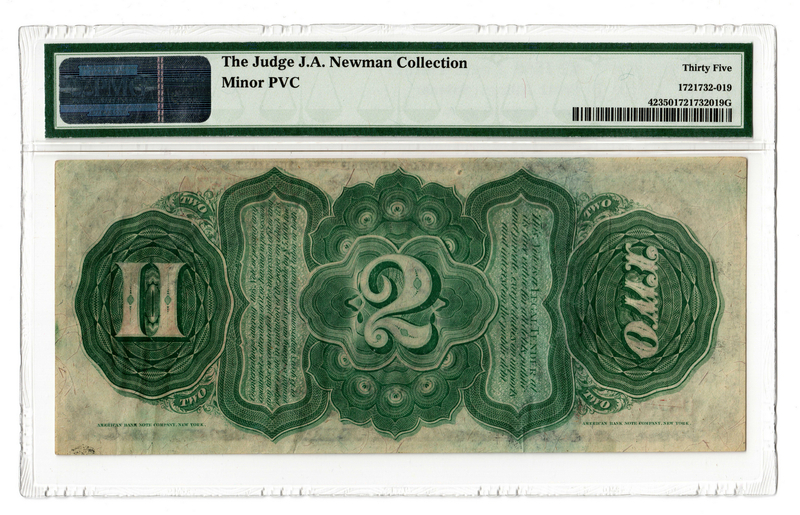 Provenance: the collection of the late James A. Newman (Nashville, TN, 1892-1964). CONDITION: PMG graded 35/Choice Very Fine. Minor PVC.